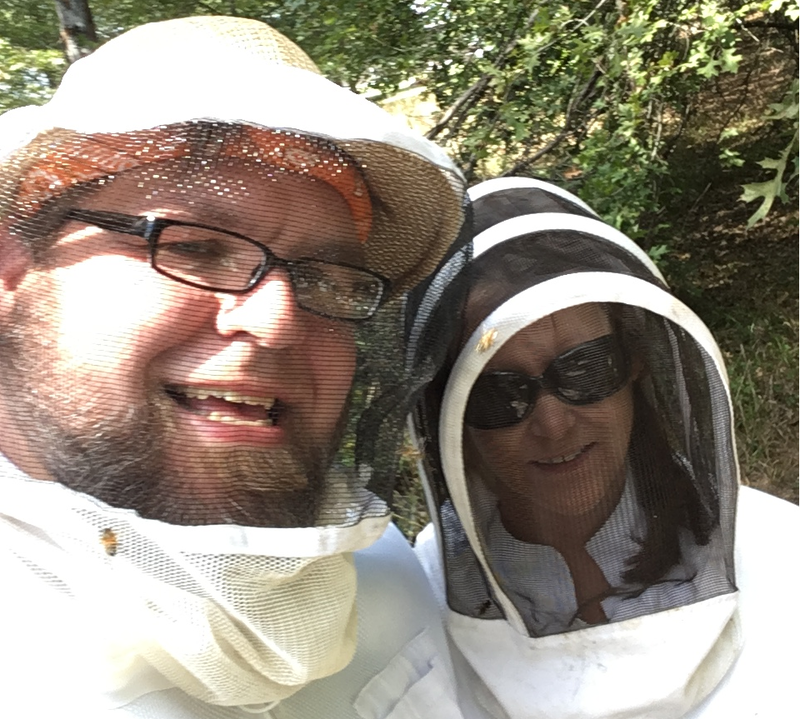 My friend, Cindy’s first visit to a Bee Yard. My glue trap didn’t work at all. Not a single beetle died in the trap – however about a dozen bees did. Well it was worth a try. If anyone has a great beetle trap idea, please leave a comment. I’ve got to beat these beetles back! “I didn’t fail. I just found 2,000 ways not to make a light-bulb; I only needed to find one way to make it work.” Thomas Edison. On the upside, the fields are filled with Golden Rod and my hives are just a buzzing with activity. I have a feeling that this will be a long cold winter but it hasn’t started just yet. I still have a little honey in the field that needs to be extracted but Saturday it will be 76 degrees for the high, so I think the 35 gallons I extracted is all I’m going to get this year. I’ll keep 5 gallons for mead, gifts, and personal use but the other 30 gallons is worth $2400 at $20 a quart. That should be enough to build enough equipment for next year. At present I can build 63 Hives (that is 1 top, 1 bottom, 1 deep super, & 10 wooden frames) for $851.61. The number 63 is a mystical, spiritual number… just kidding… given the length of the boards vs how many long sides and short sides of the supers you can cut, 63 is optimal number to reduce waste (at least in my wood shop). It costs me $592 to build 63 supers with 10 frames each (no bottoms or covers). So 63 Hives with 2 deep supers will cost $1443.61 (plus tax). That’s roughly $23 per hive. I’m really looking forward to getting out in the shop this winter – I think the woodworking is my favorite part of beekeeping. Well, I checked all the Hives and they are still doing well. One last thing: My daughter and Noah (my beekeeping helper) got married this past Saturday 10/6/18. I couldn’t be happier!